Never in our lifetimes have we faced such an immediate global threat to environmental advances as we do right now with the Trump administration. In just days, Trump and his cabal have begun to eviscerate hallmarks of civil society - and they started with the environment. With a stroke of a pen, they are turning back the clock – every day, every hour. Climate change page removed from Whitehouse website. The EPA muzzled and quarantined. A swift approval of Keystone XL and Dakota Access Pipelines. And then the crushing disappointment when our own government responded that Trump’s approval of these pipelines was good news for improving relations with the new US government. 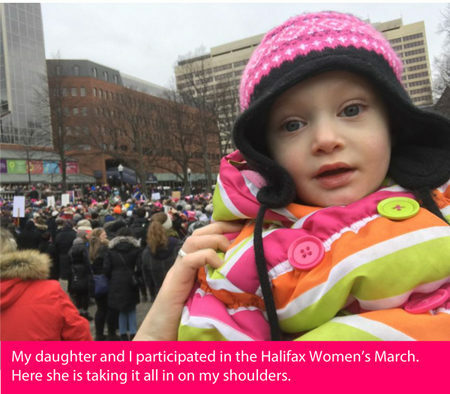 What we witnessed with Women's Marches across the world – from Washington and New York, and Paris and Tbilisi, to Manitoulin Island and Sandy Cove, Nova Scotia – was a message to the dark forces undoing years of work to protect our planet. The best way we can fight against what’s to come – this week, next month, and for as long as this president remains in office - is to join together to say NO! Become a member today and join the movement standing up for our planet, human rights and basic dignity. Don’t take this sitting down. Don’t wait another day. We need to redouble our efforts and our ranks of supporters. The time to act is now! Be a part of this historical movement to take back our planet. Become a proud member today!